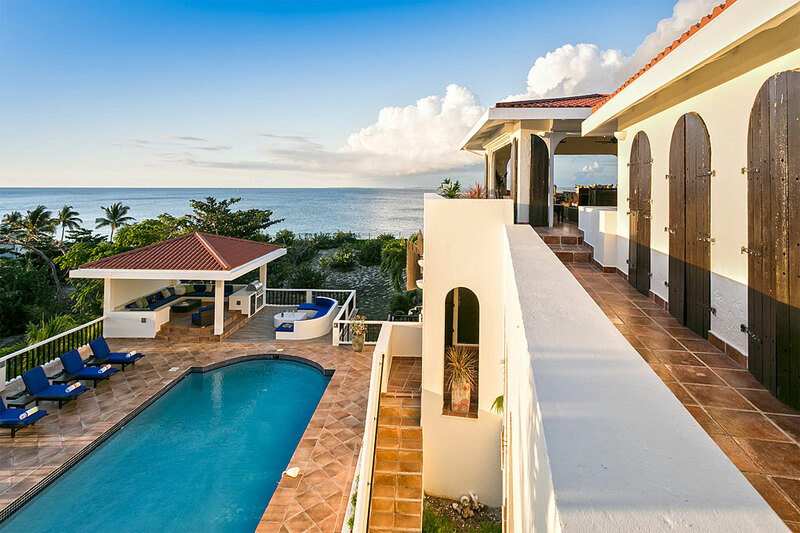 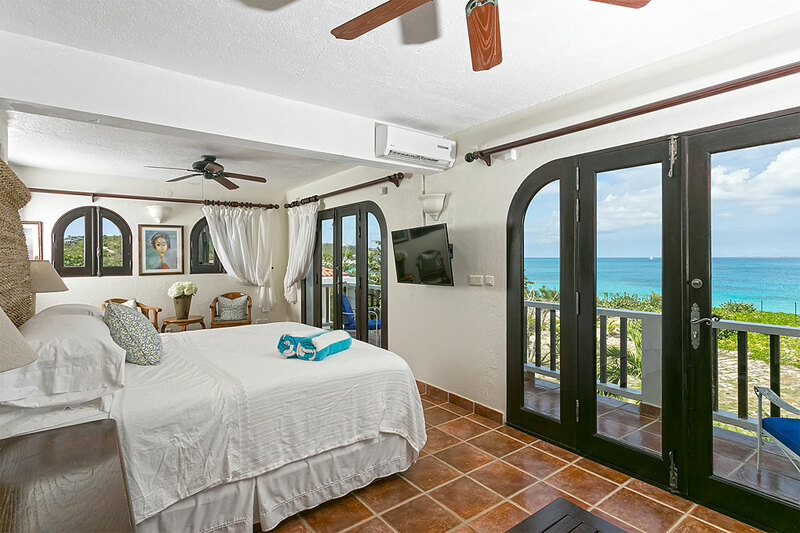 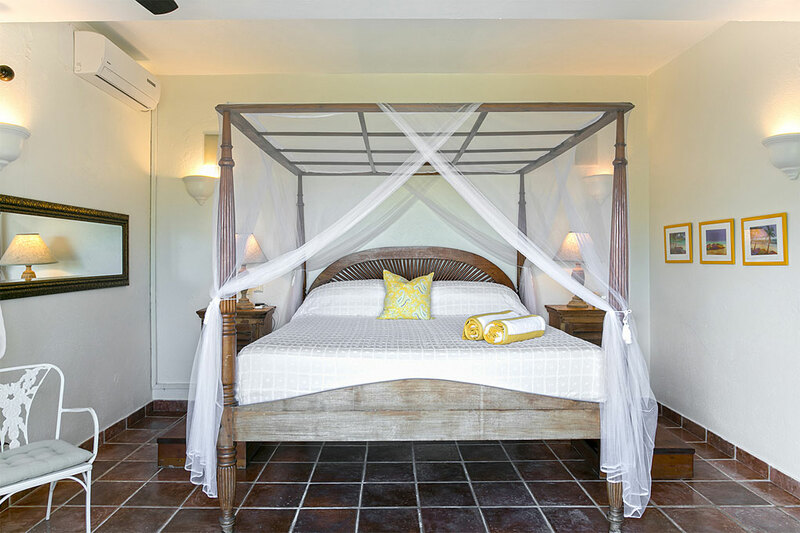 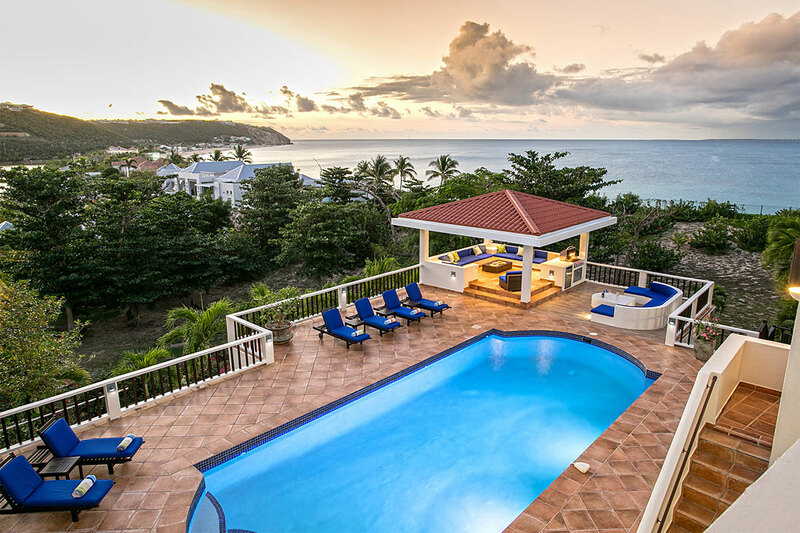 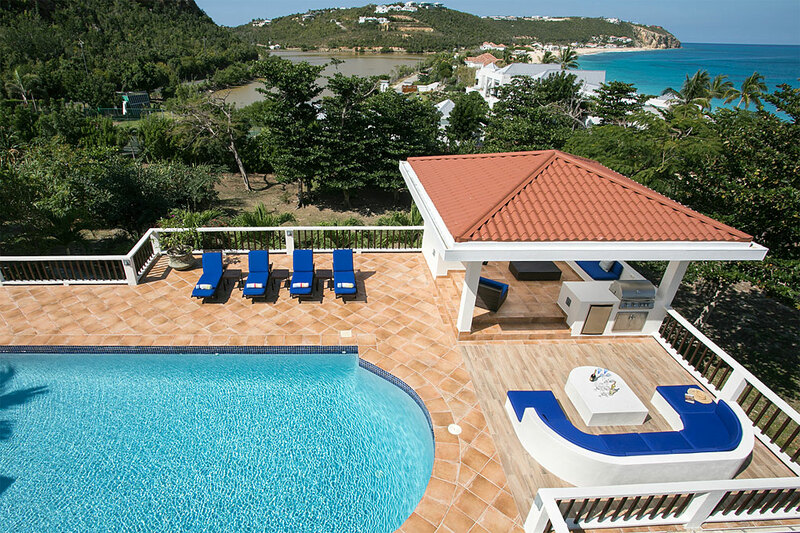 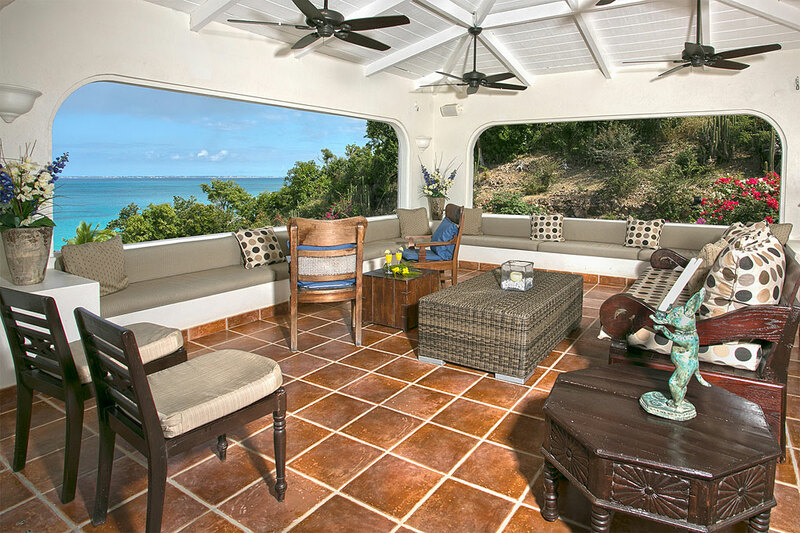 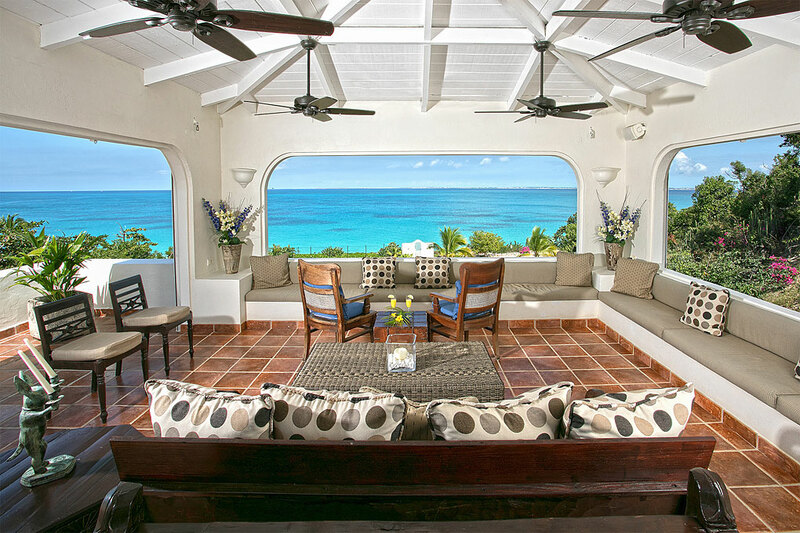 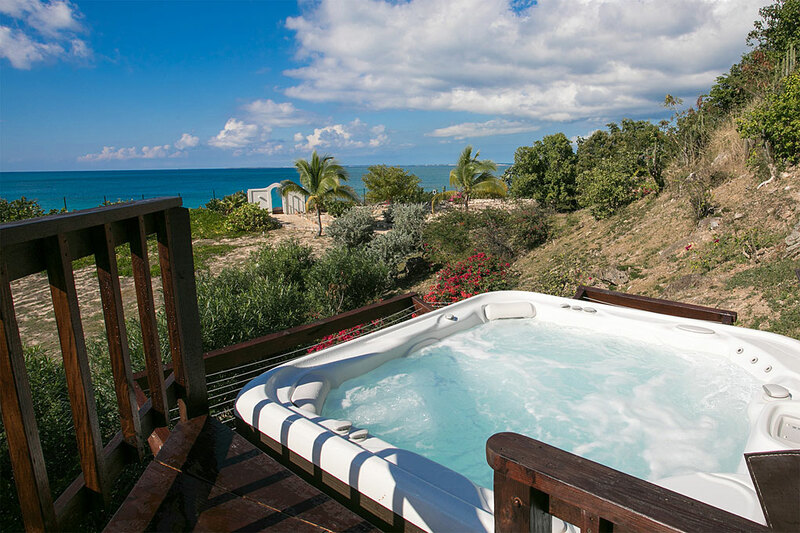 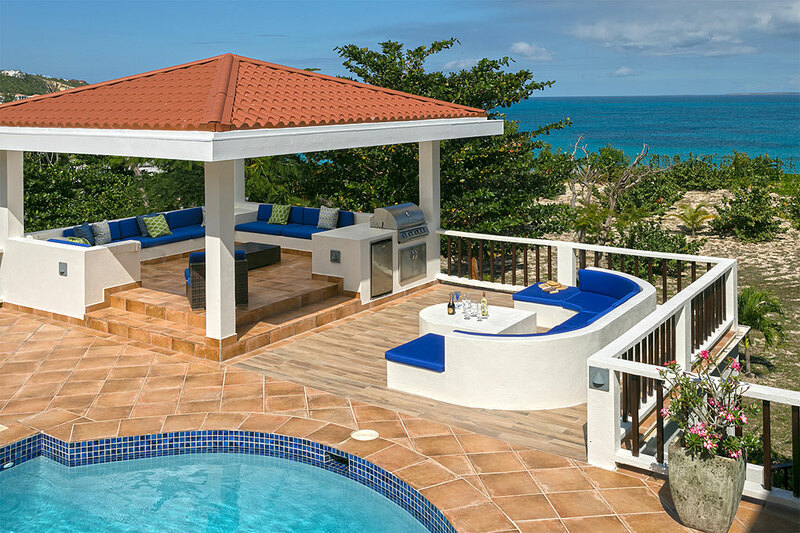 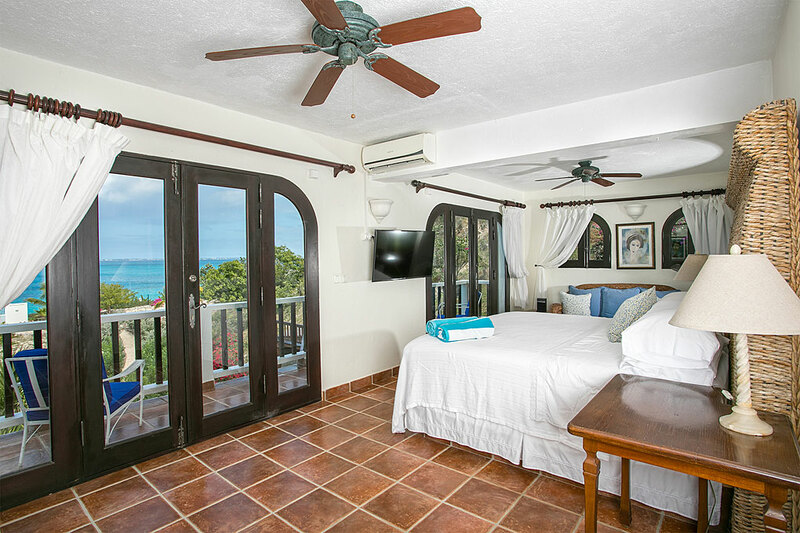 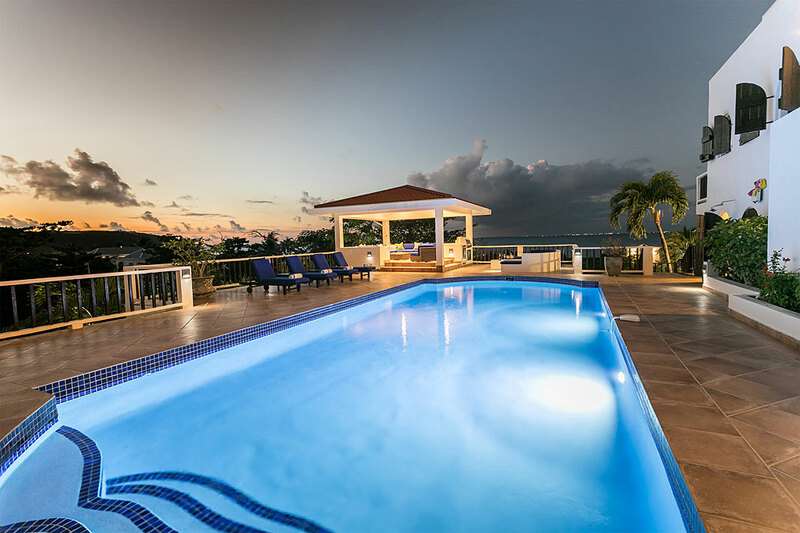 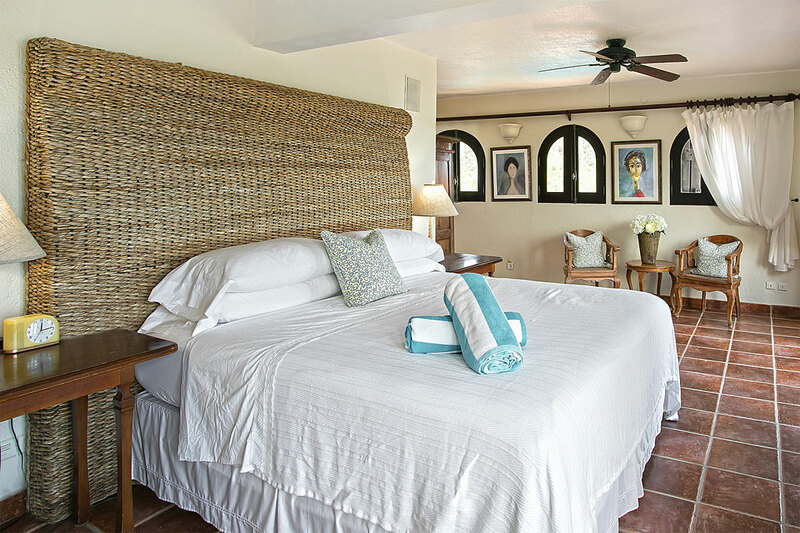 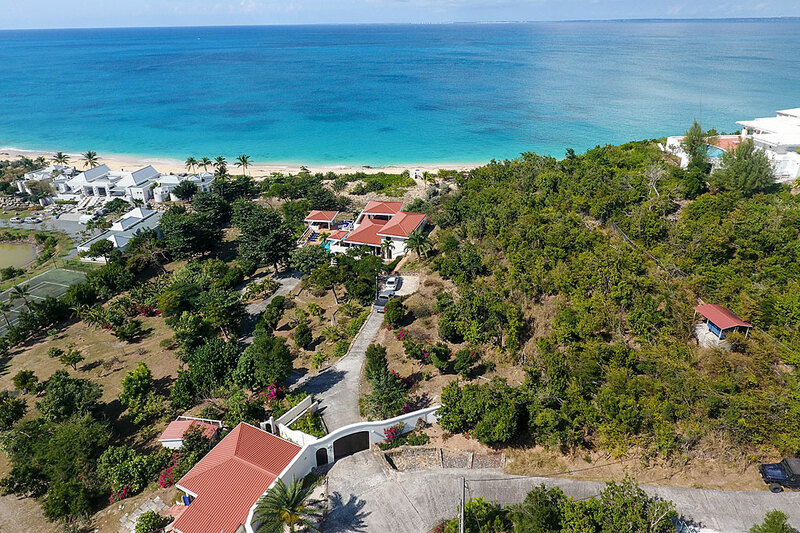 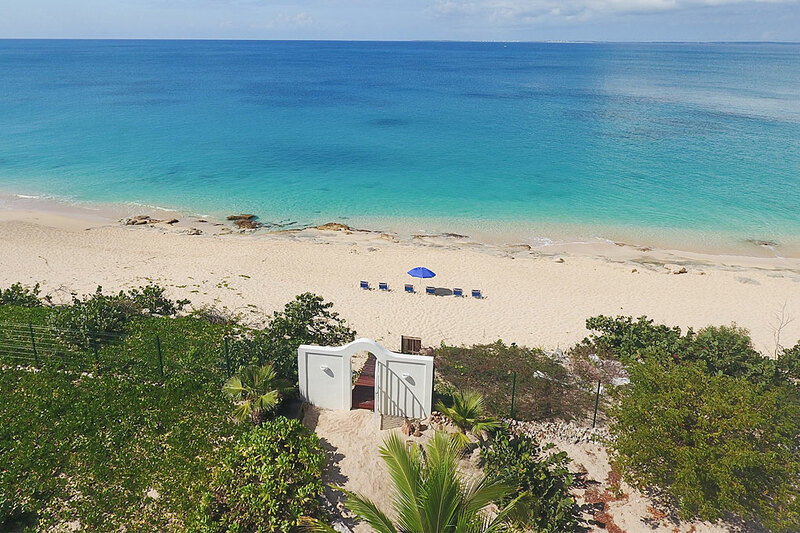 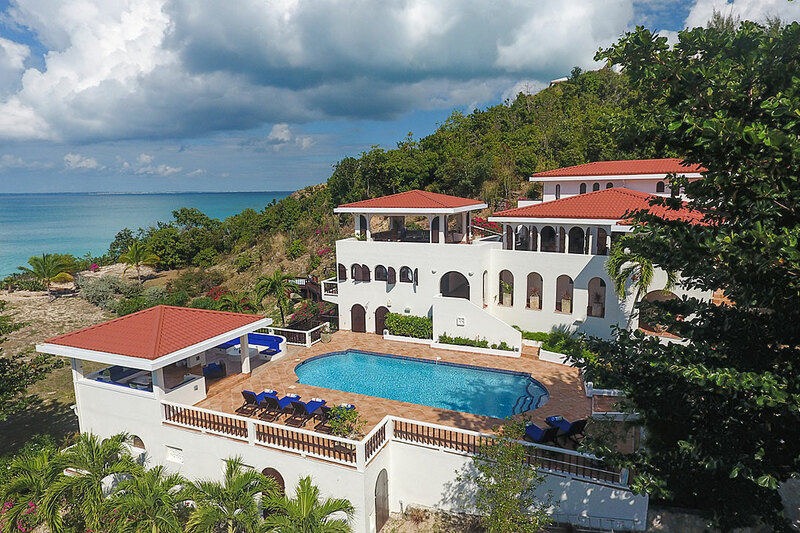 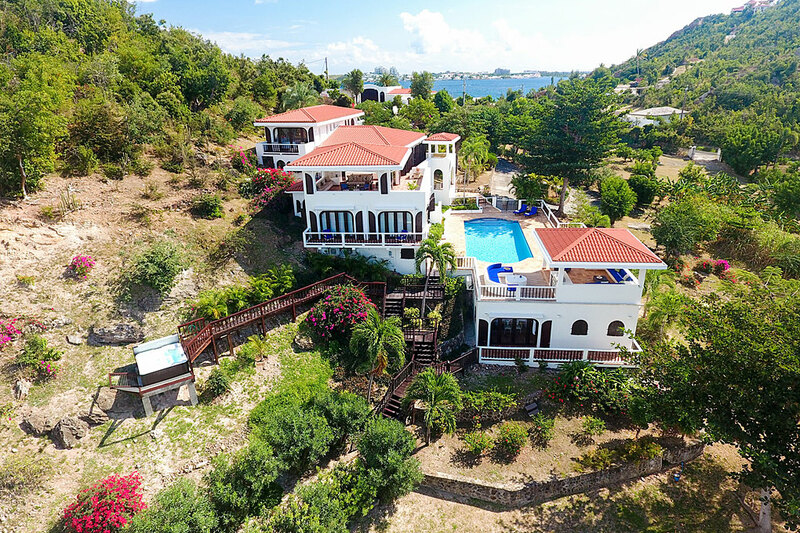 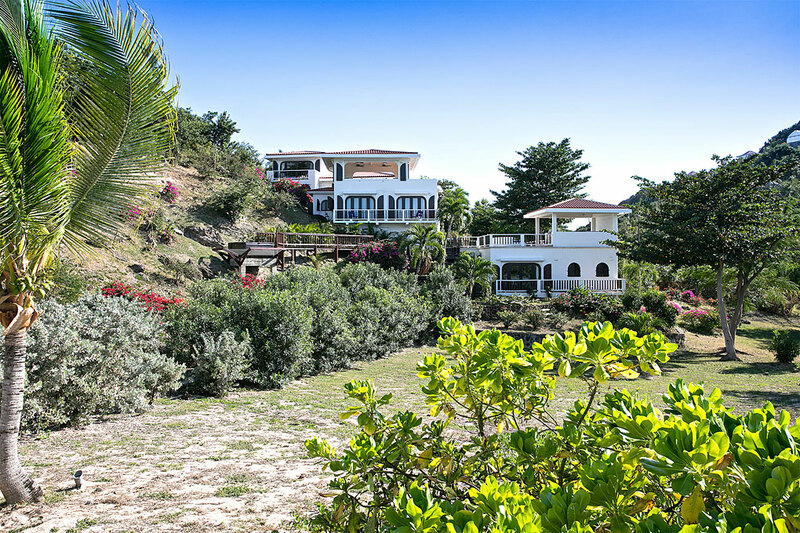 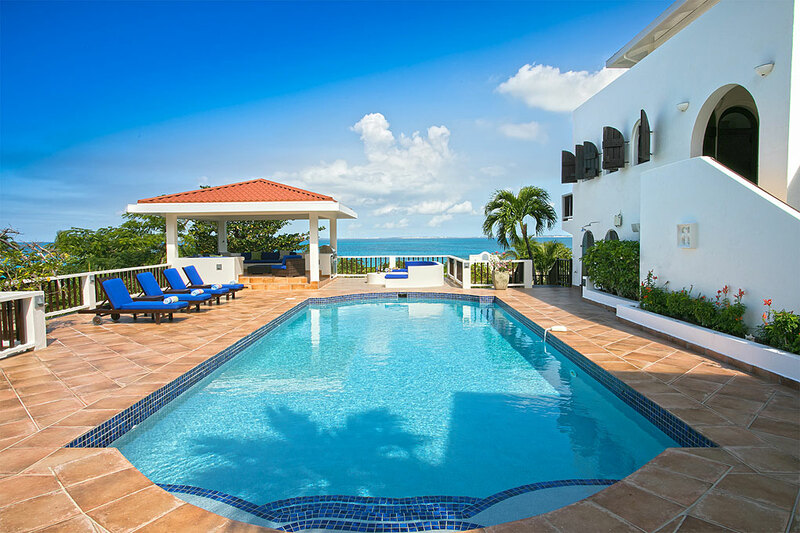 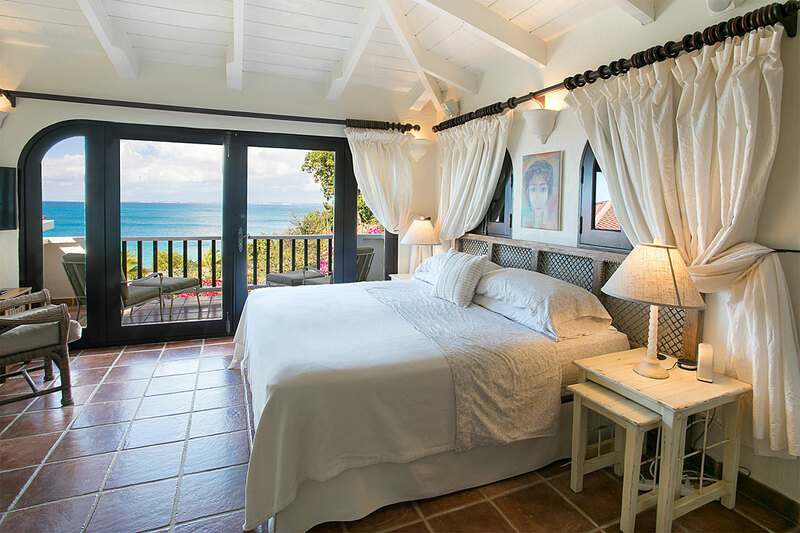 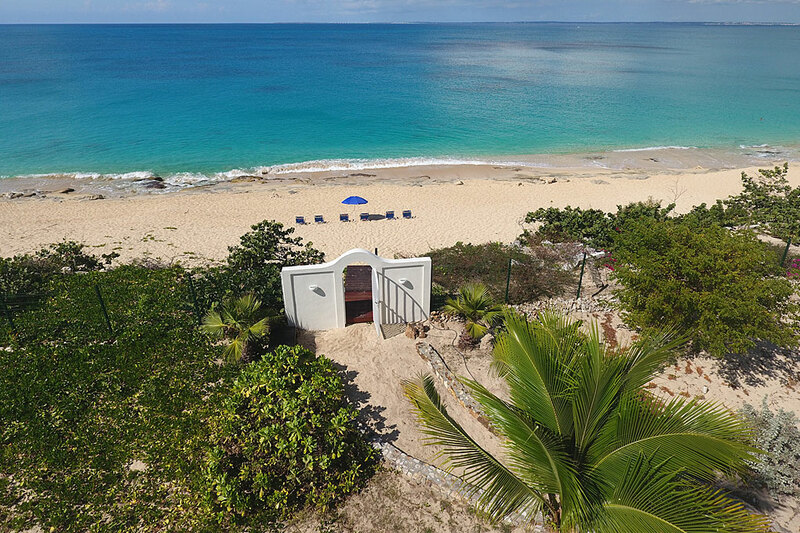 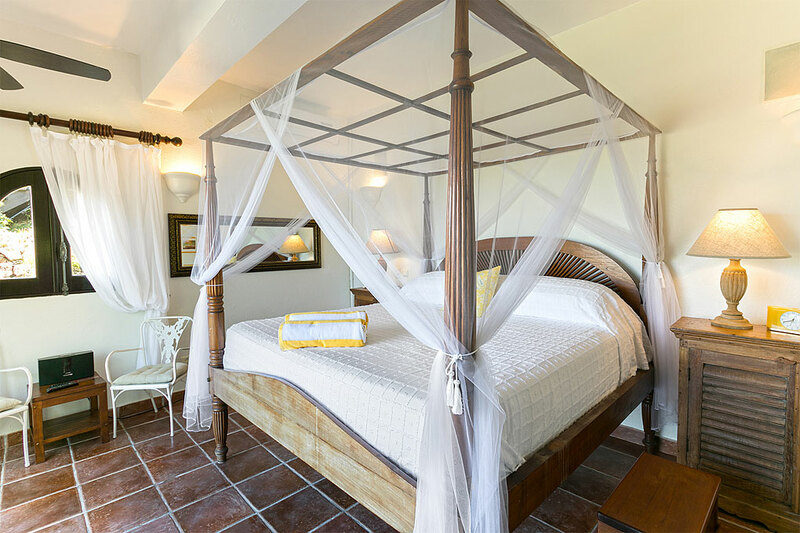 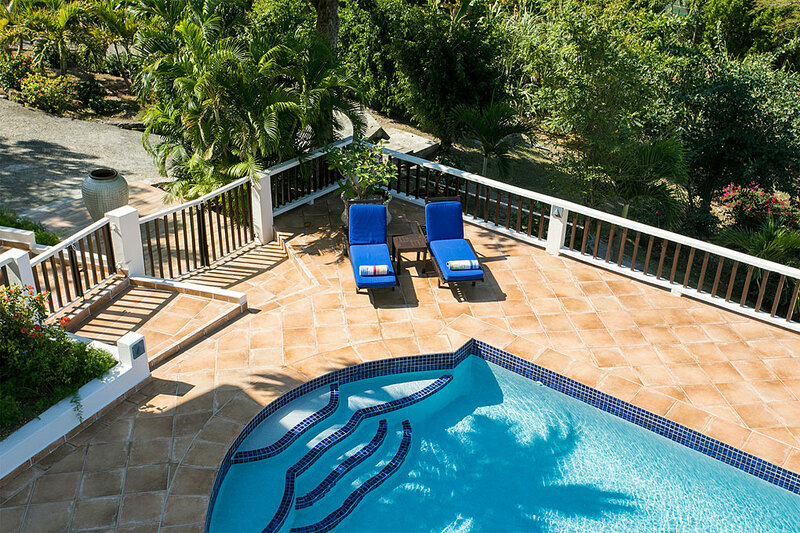 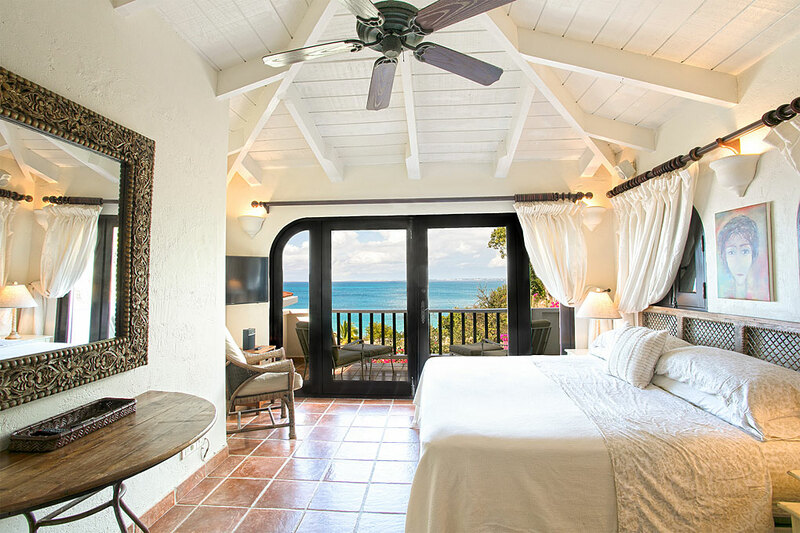 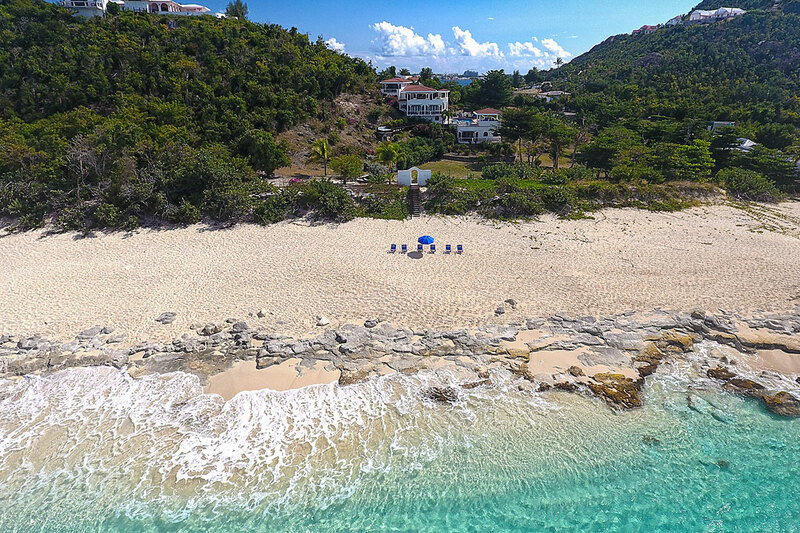 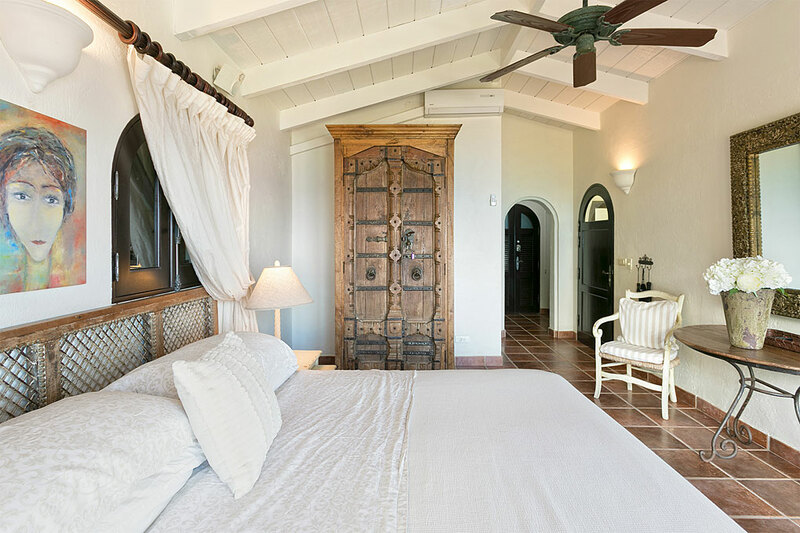 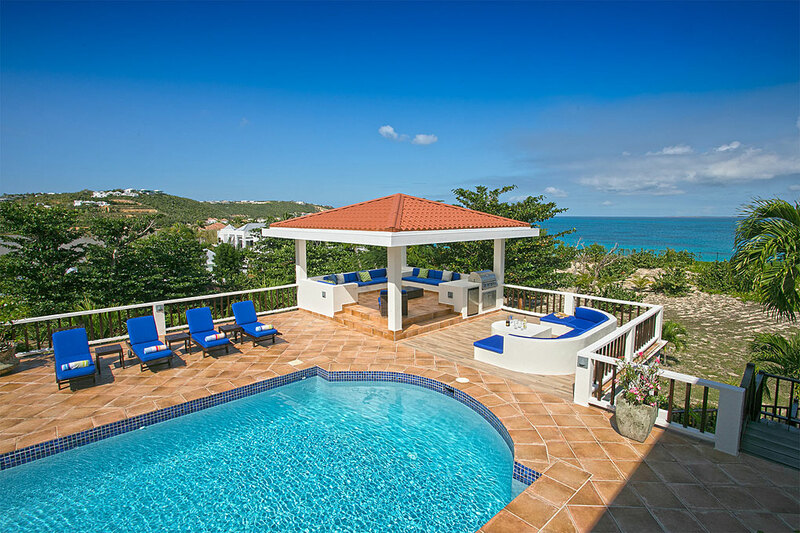 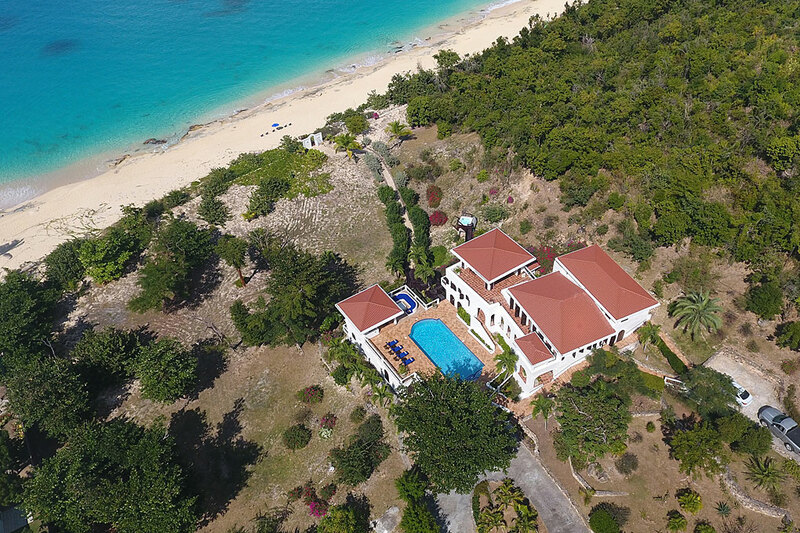 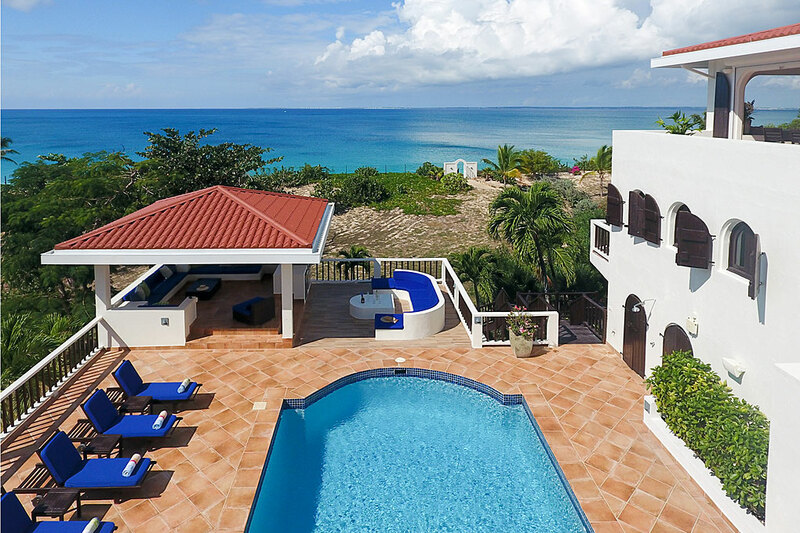 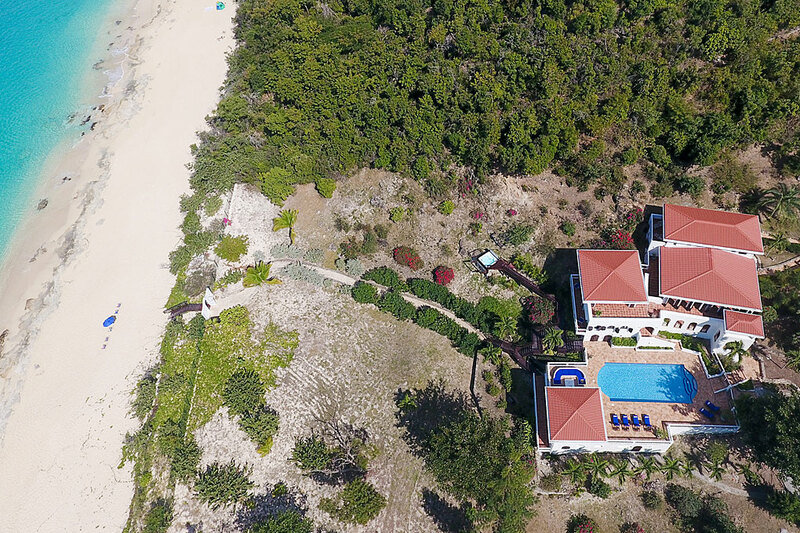 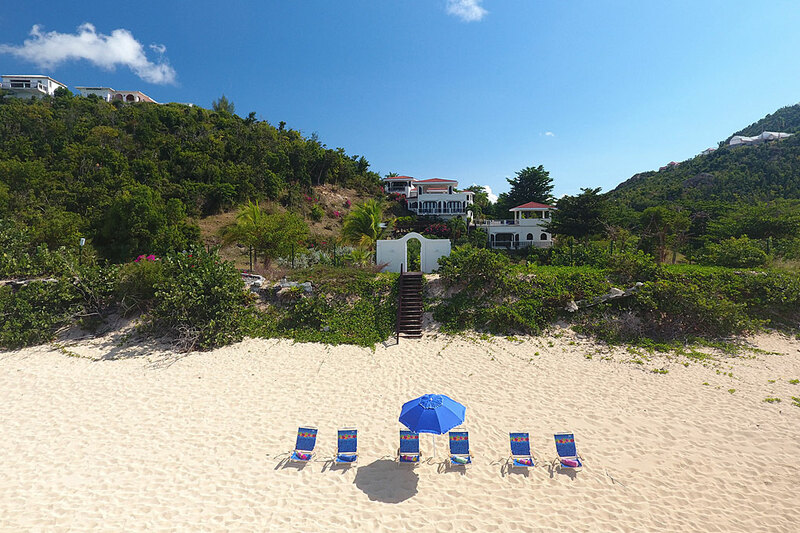 Nestled within 4 acres of prime beachfront on beautiful Baie Rouge, Joie de Vivre is a multi-level 3 bedroom villa set in lush tropical gardens with a superb ocean backdrop. 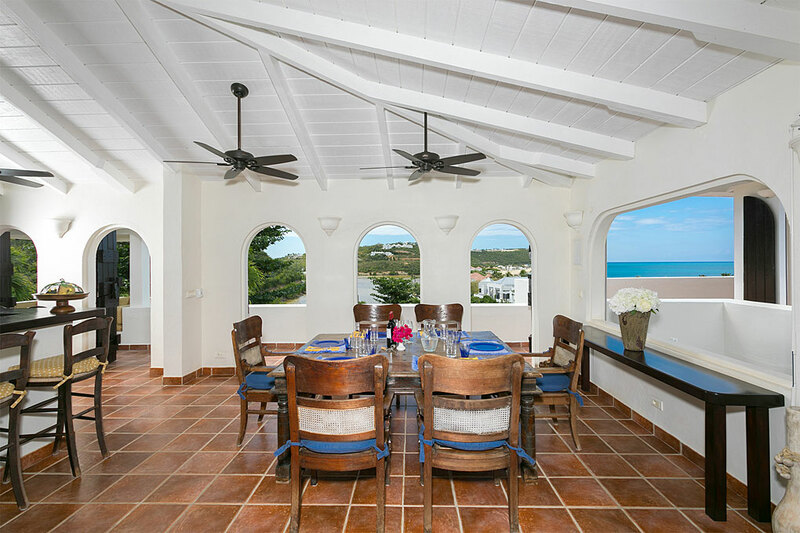 The Mediterranean feel of the house with its cool white arches and warm terracotta hues are beautifully framed by the turquoise waters of the bay. 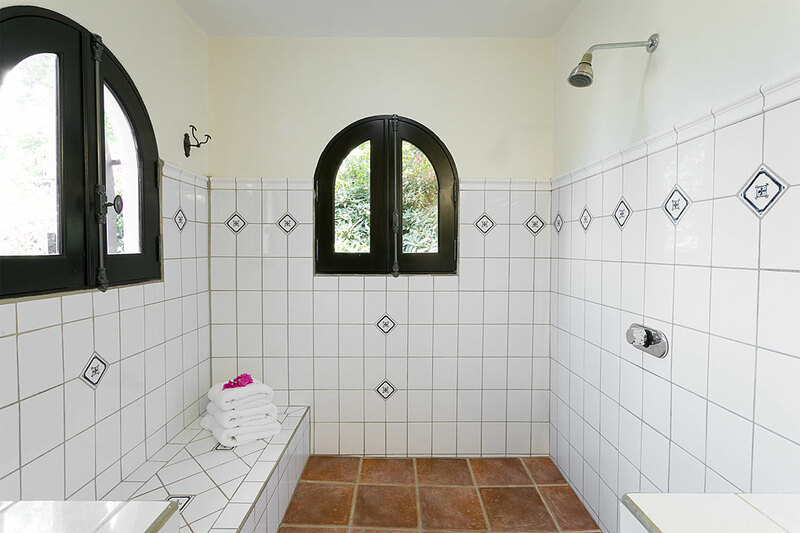 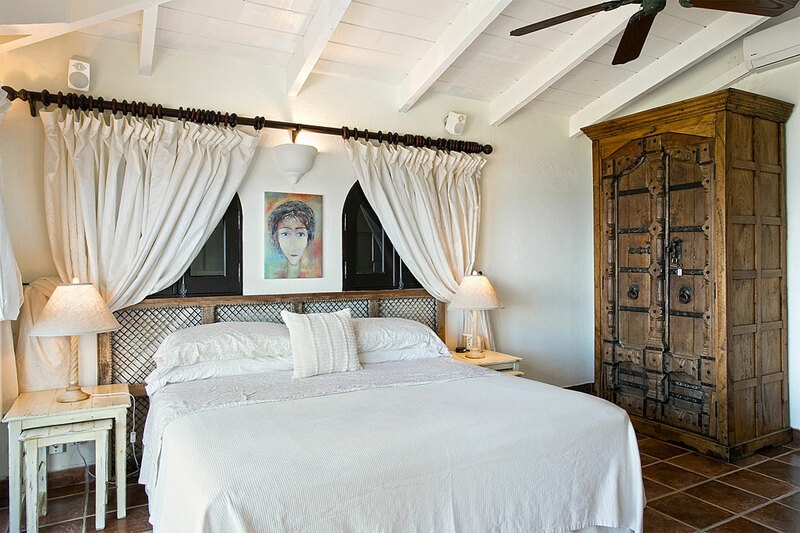 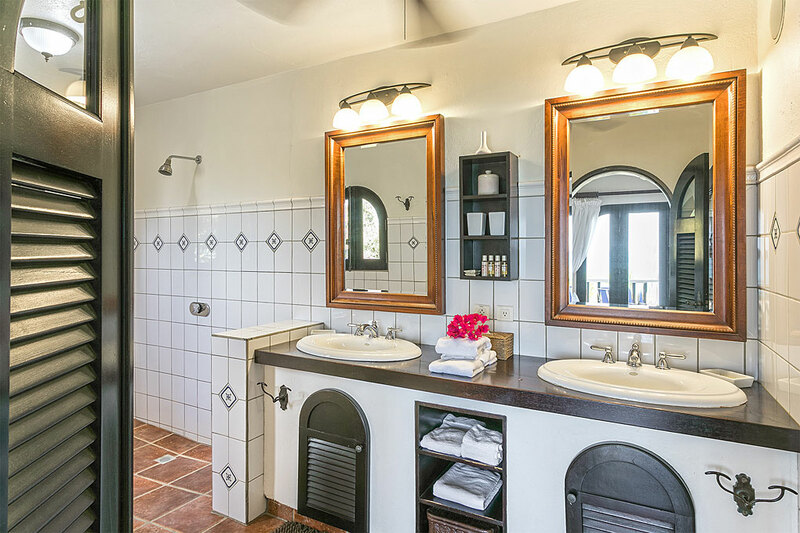 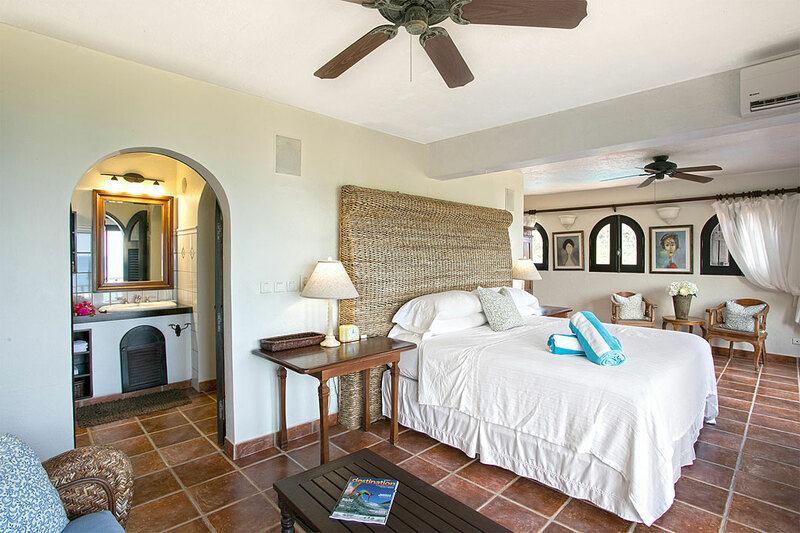 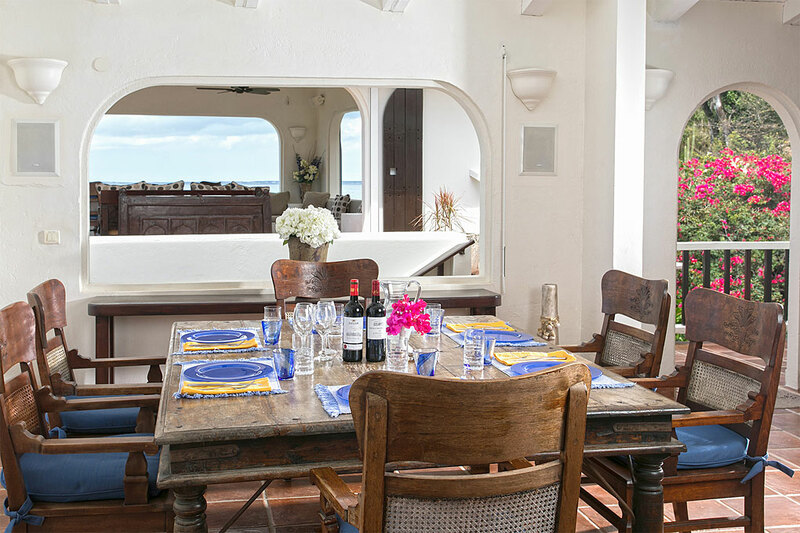 The villa has a picturesque flower-lined path to the beach and a large classic pool with terracotta tiled terrace and stylish poolside lounging. 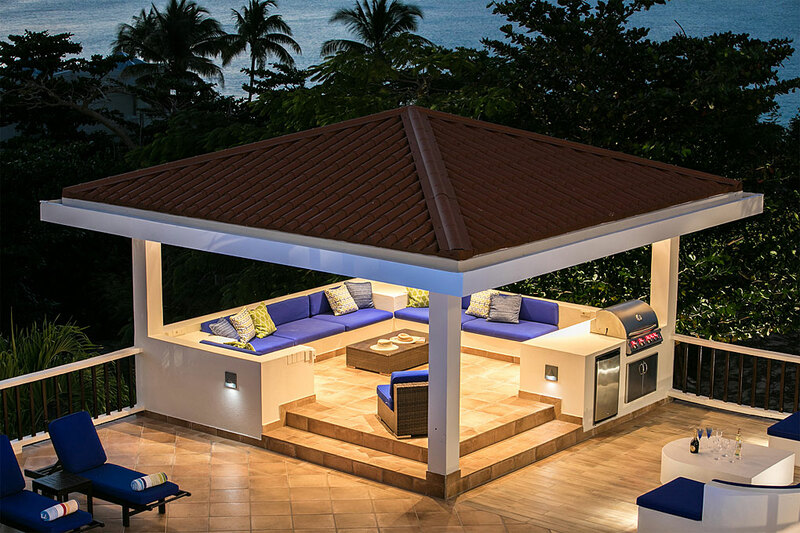 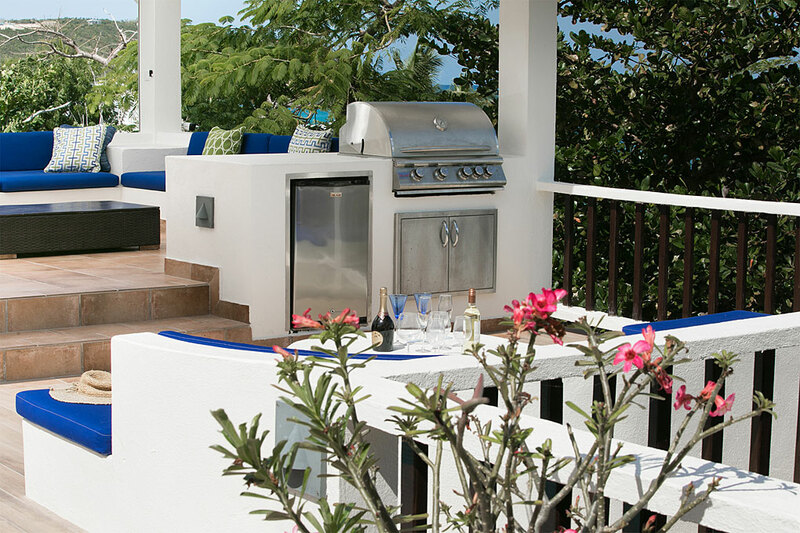 A comfortable poolside gazebo provides shaded lounging and a BBQ area. 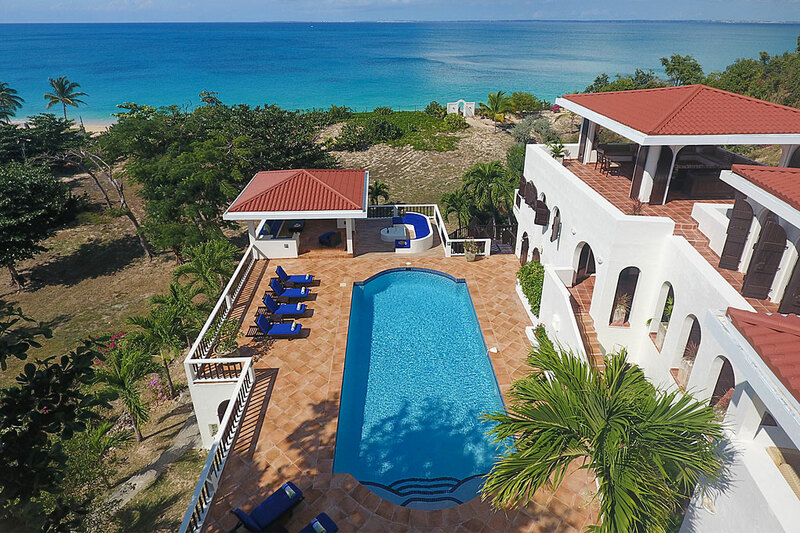 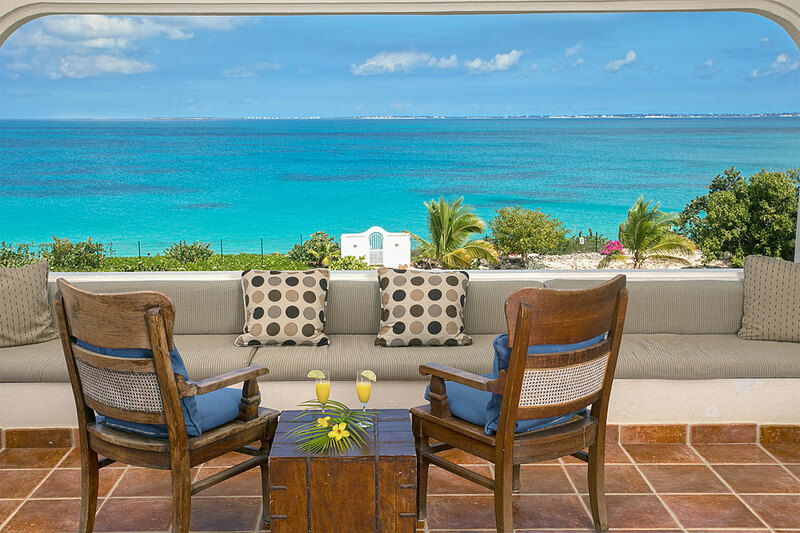 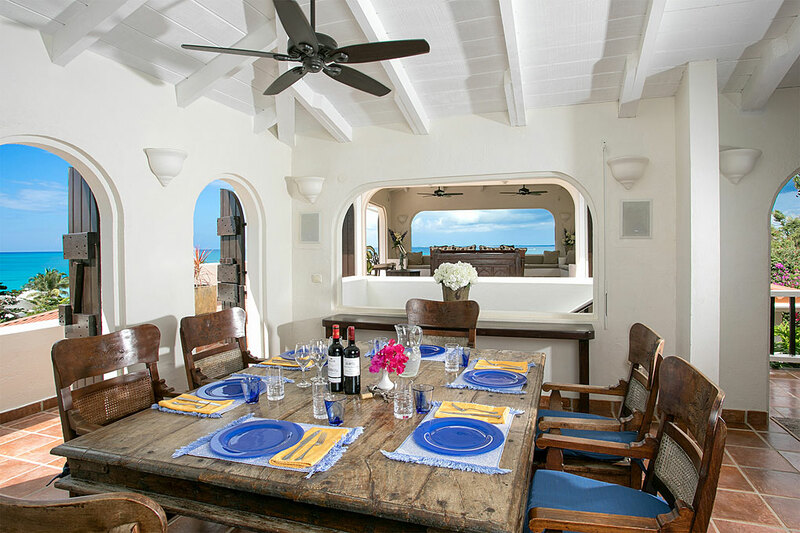 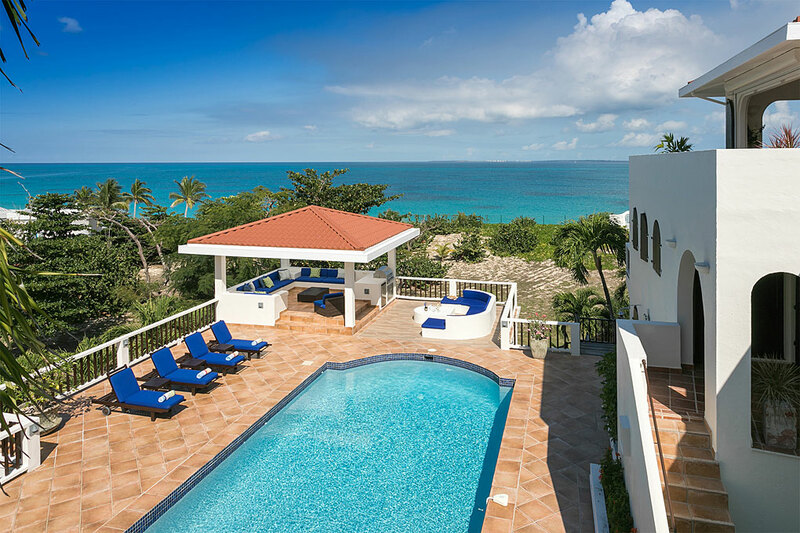 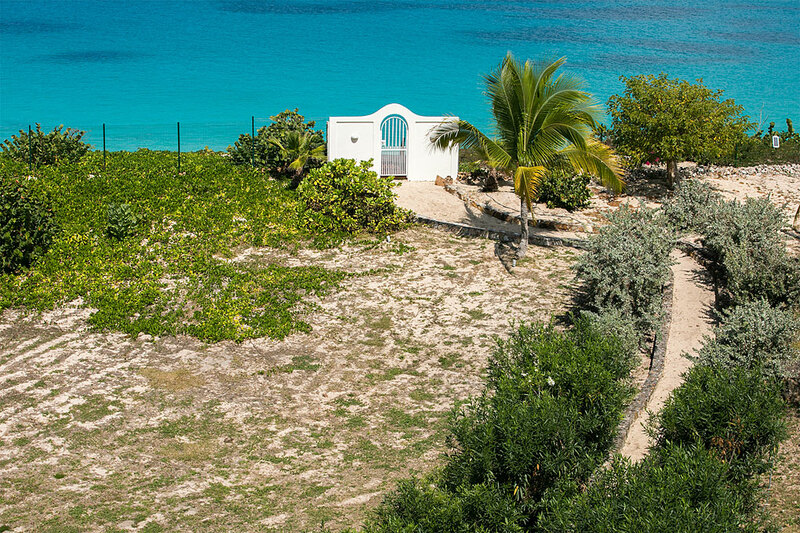 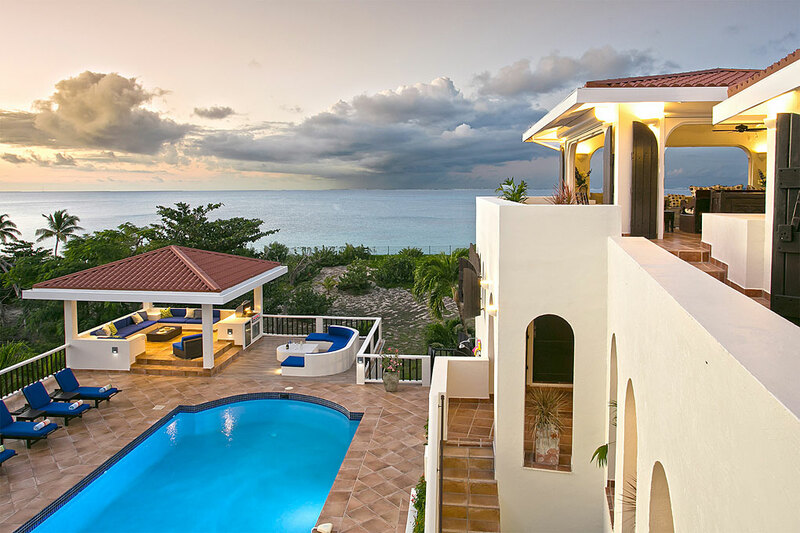 Upper levels house the main living spaces including an elegant outside lounge with ceiling fans and a fabulous panoramic view over the ocean and the nearby island of Anguilla. 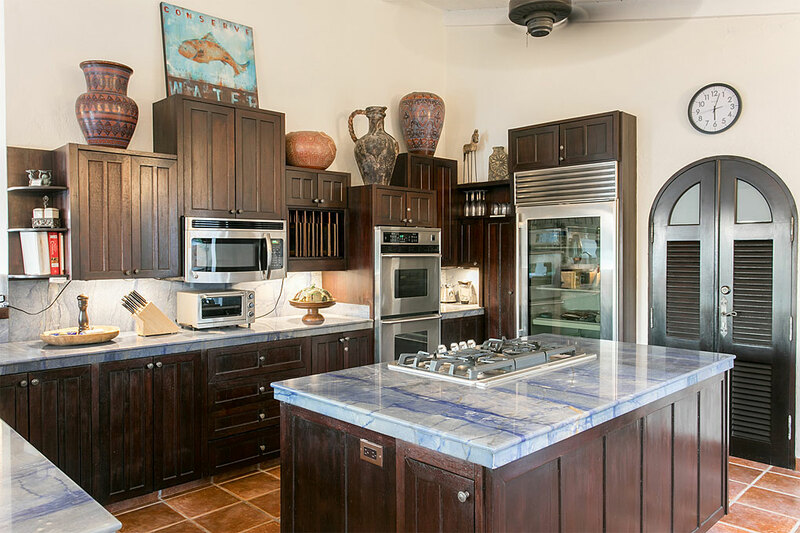 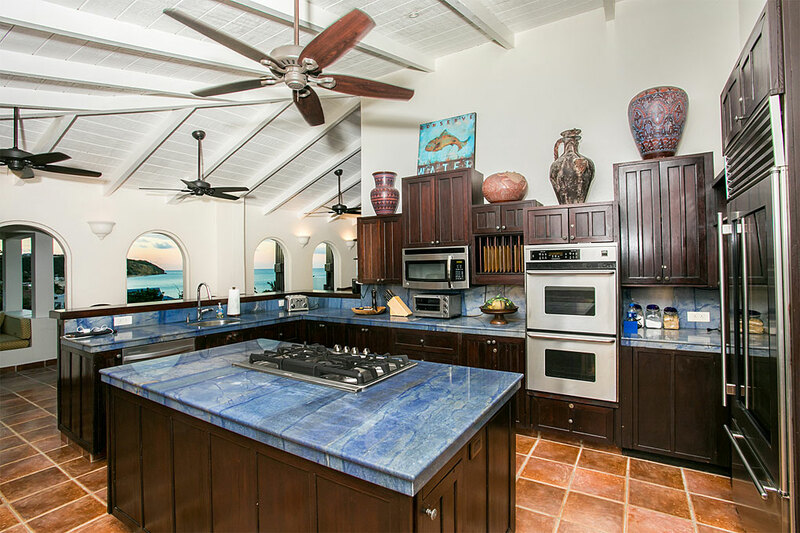 An arched balcony runs the length of this level opening out from a dining and living area and a large, well-equipped mahogany kitchen with generous counter space and a central island. 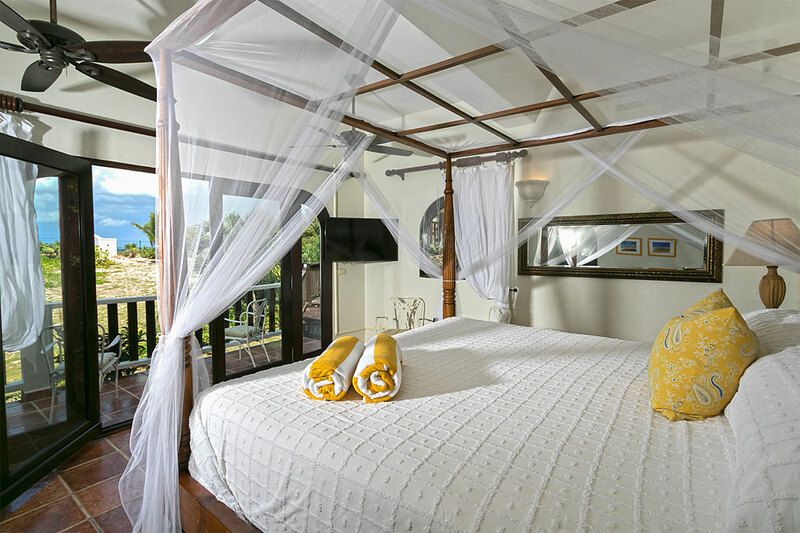 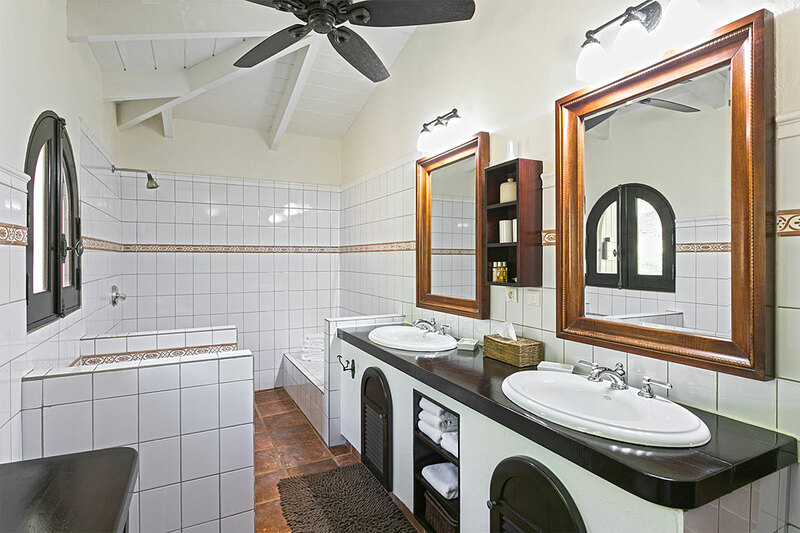 The 3 air-conditioned bedrooms each have king size beds, satellite TV’s, ceiling fans and elegant en-suite bathrooms. 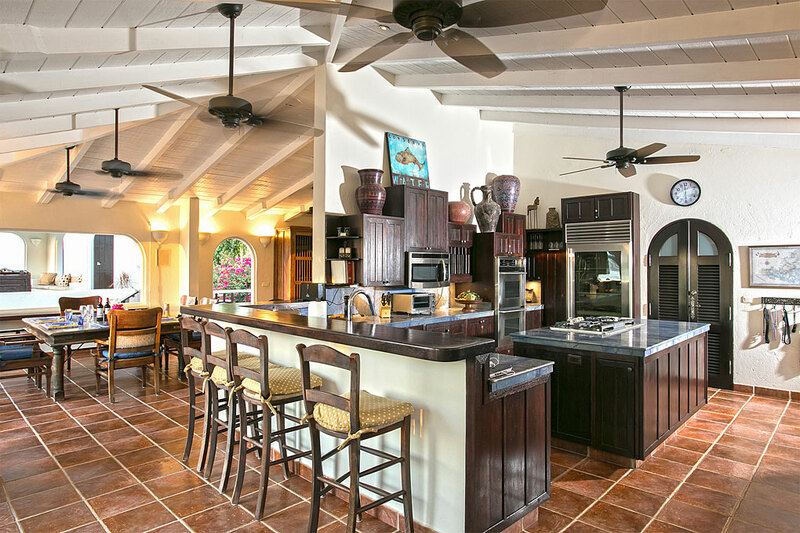 Other amenities include a stereo sound system throughout the villa and wifi. 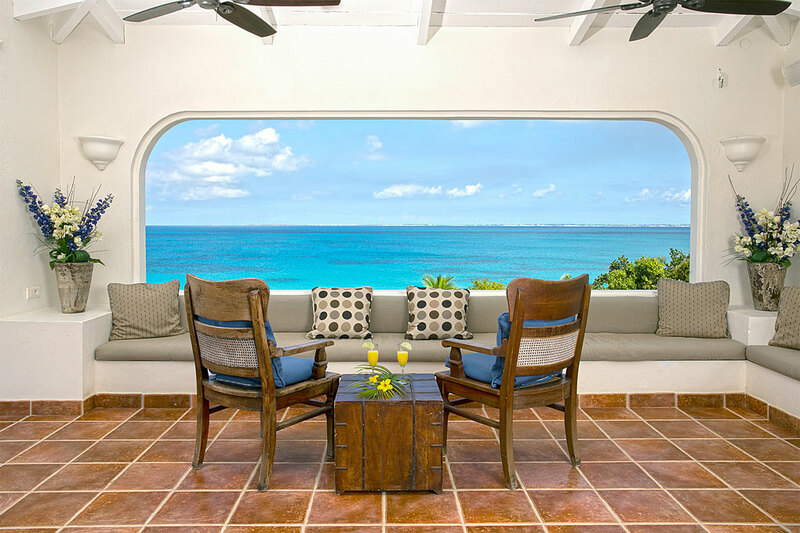 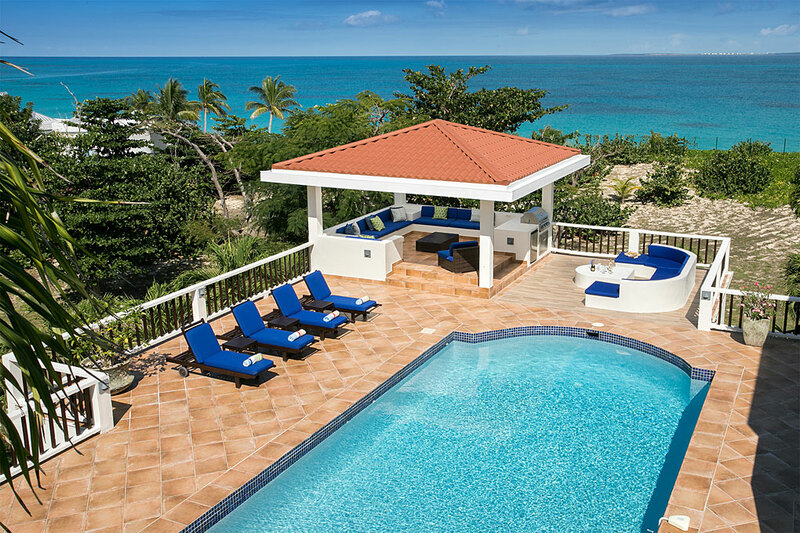 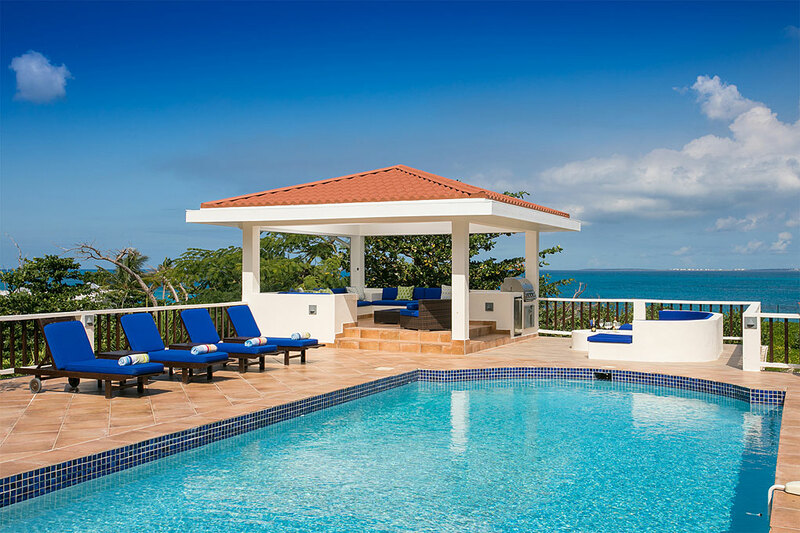 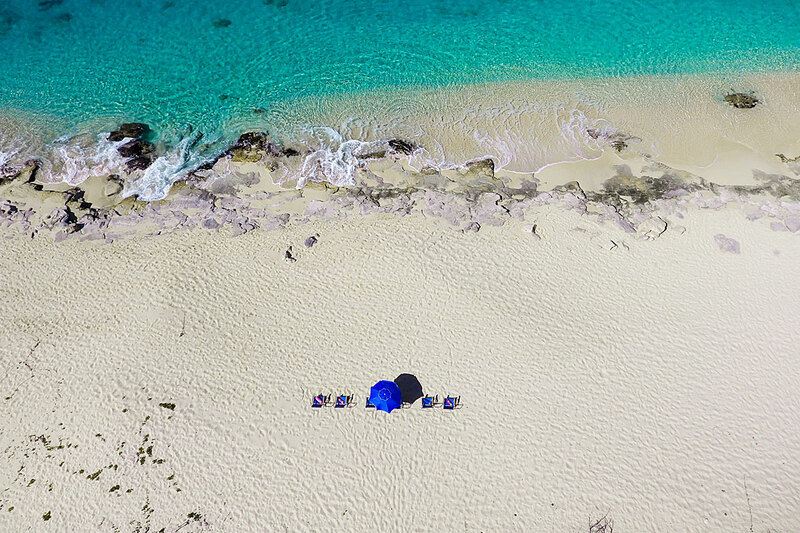 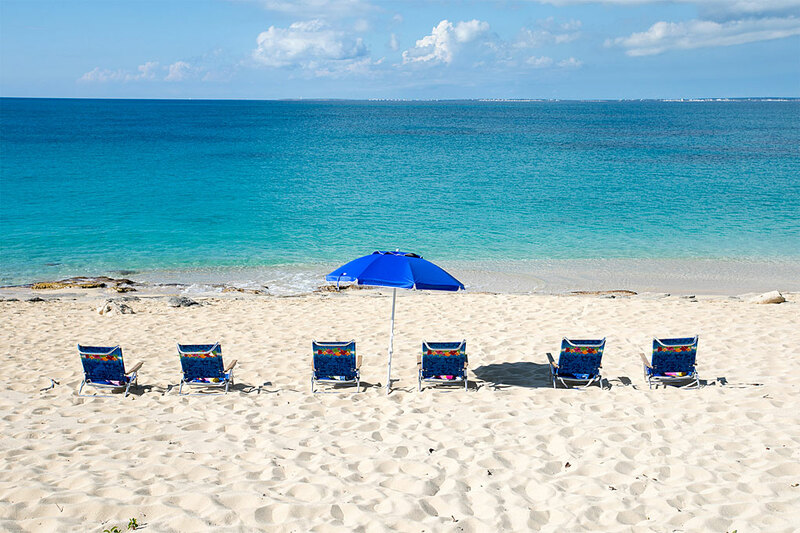 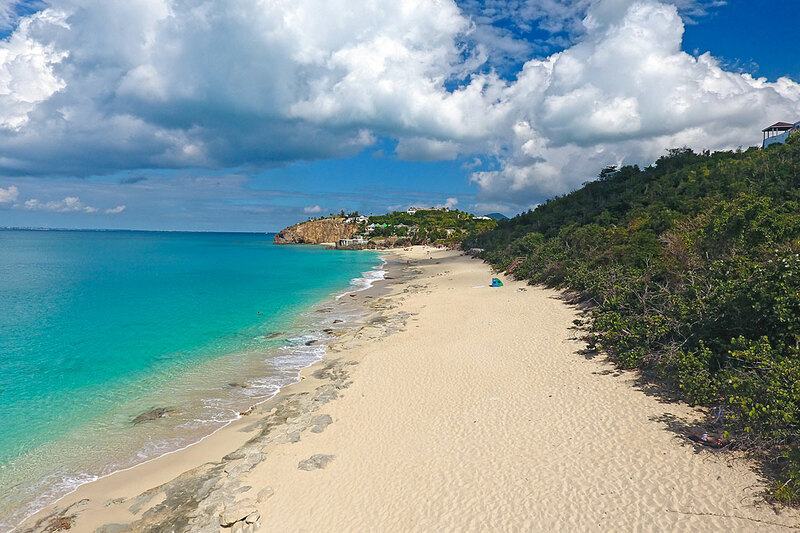 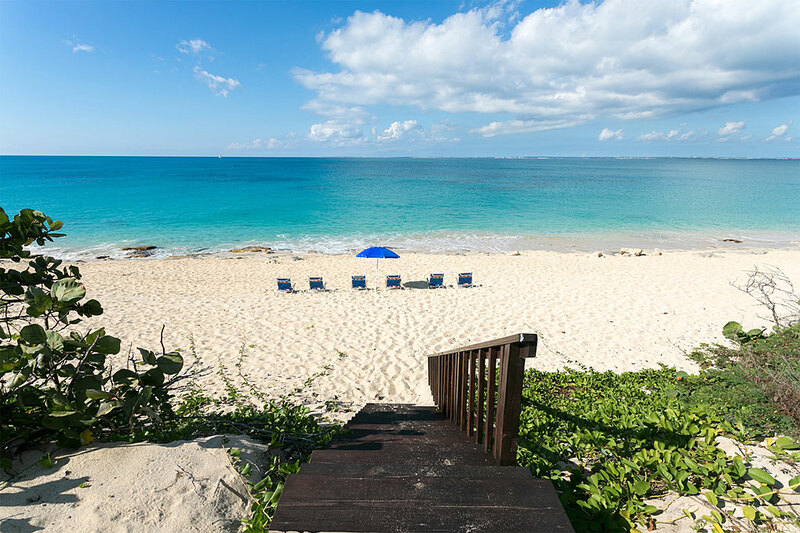 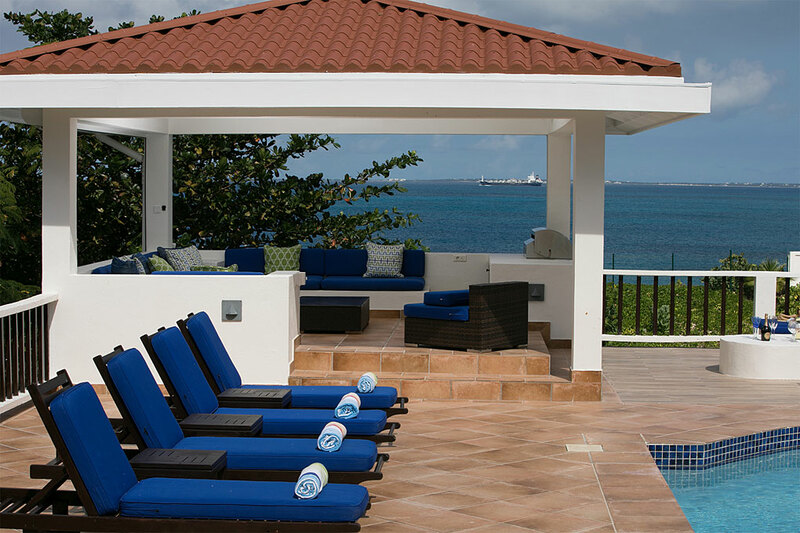 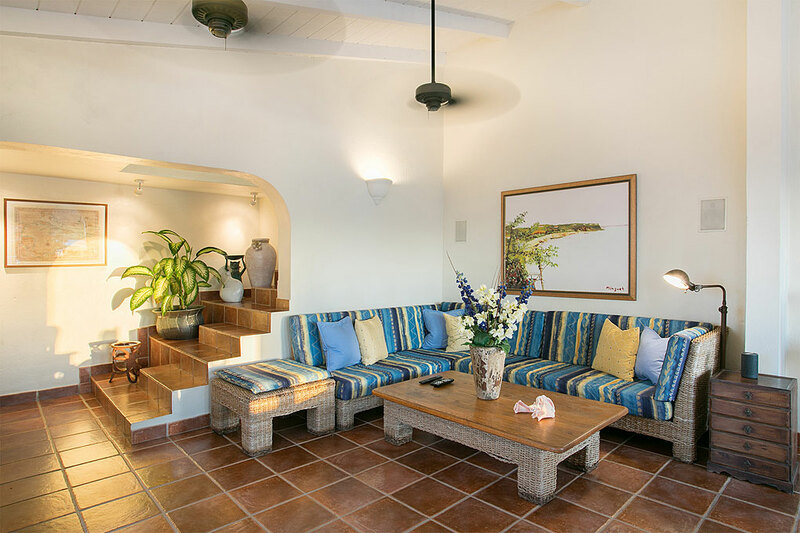 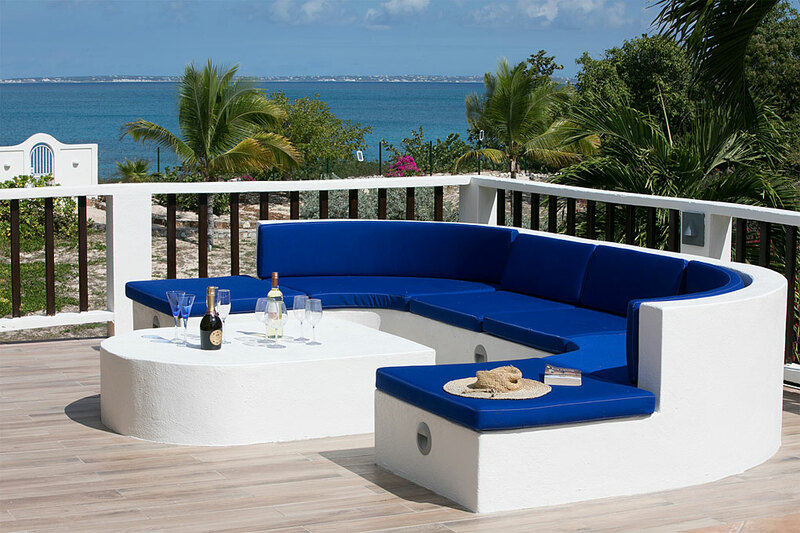 Joie de Vivre offers comfort and elegance, excellent amenities and relaxed beachfront living all within minutes of the island’s best restaurants, shopping and nightlife. 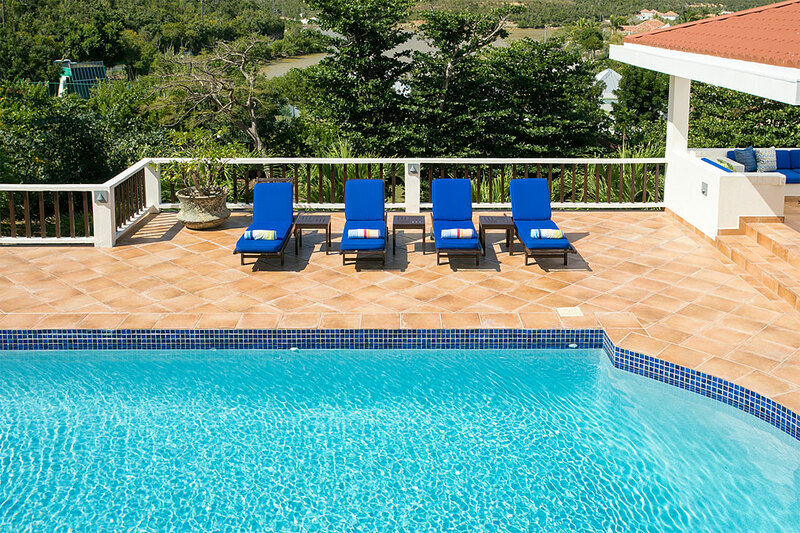 Not suitable for old or handicapped people as villa is on 3 levels. 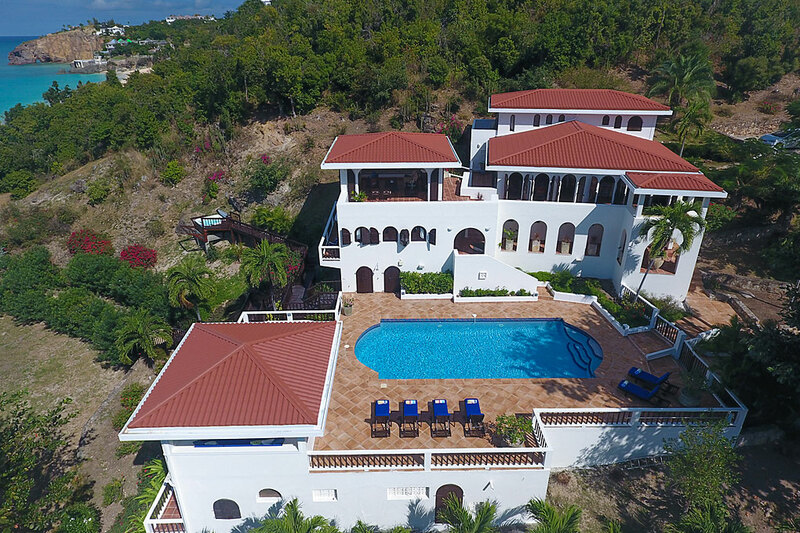 Please be aware a cat is on-site and two dogs are on the property but have no access to the villa. 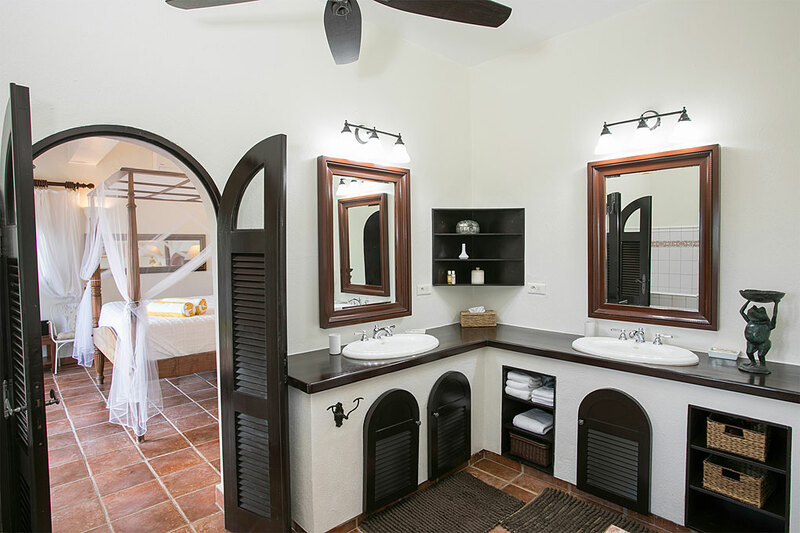 3 Guest Restrooms. 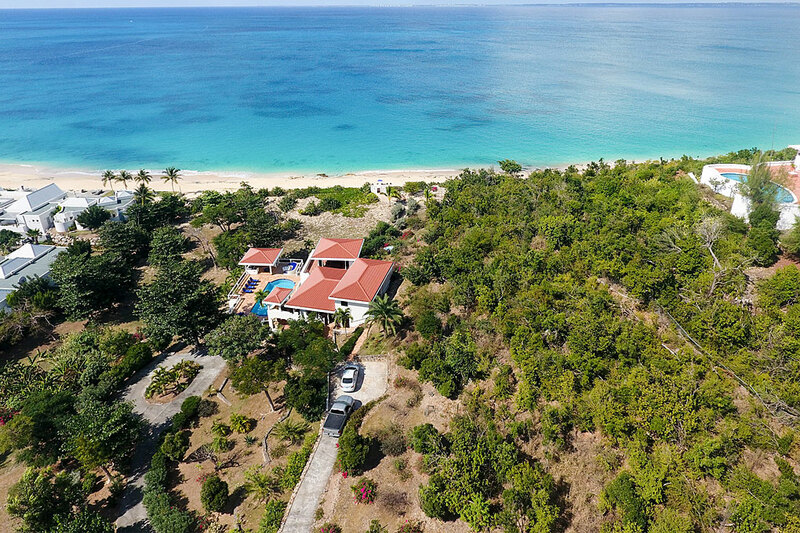 Air-conditioned bedrooms, Bar-B-Q Gaz, Beachfront, CD player, Ceiling fans, DVD player, Electric Gate, Fridge, Gazebo, Hair Dryer, Internet Access, Ipod Device, Laundry Service Available, Microwave, Safe, Satellite TV, Stereo, Stove, TV, Voltage 110/220, Vonage Phone access, Wine Cooler. 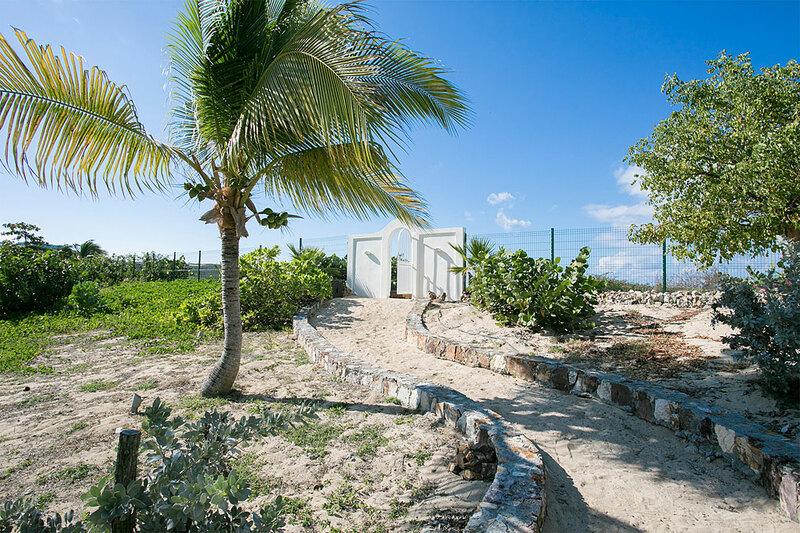 Private access to Baie Rouge Beach. 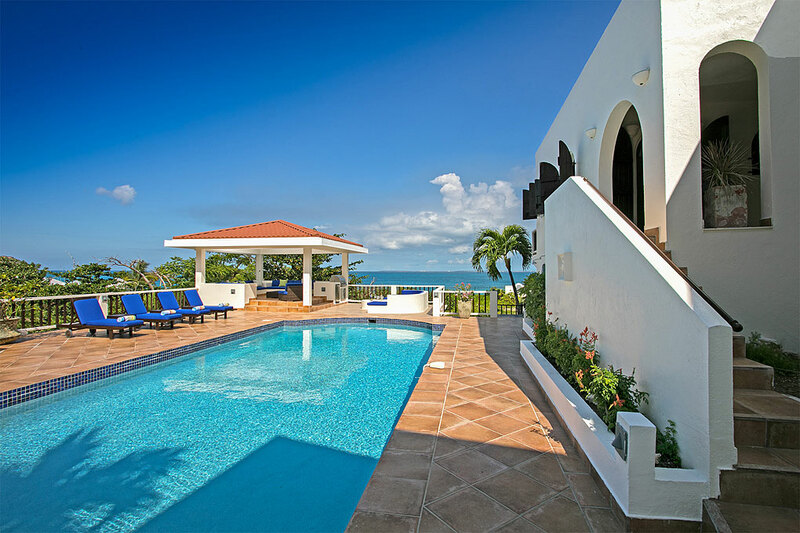 Free phone calls to US, Puerto Rico and Canada. 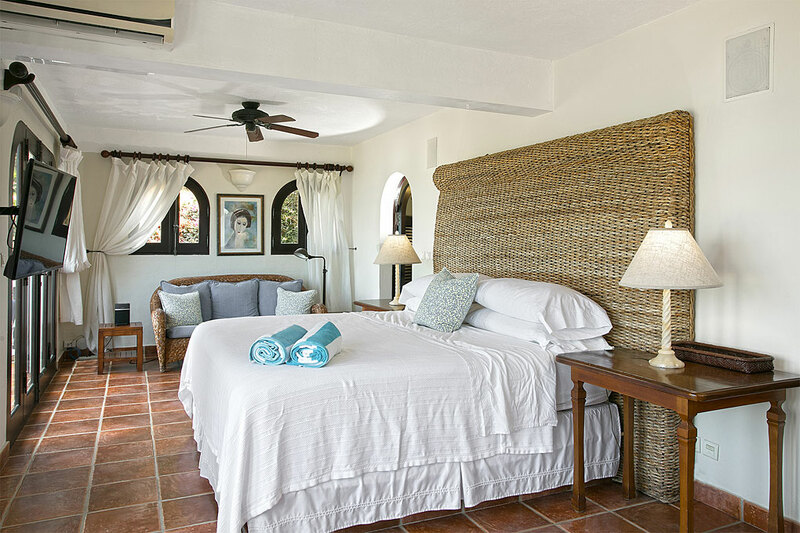 Stay for 7 nights, pay for 5 nights. 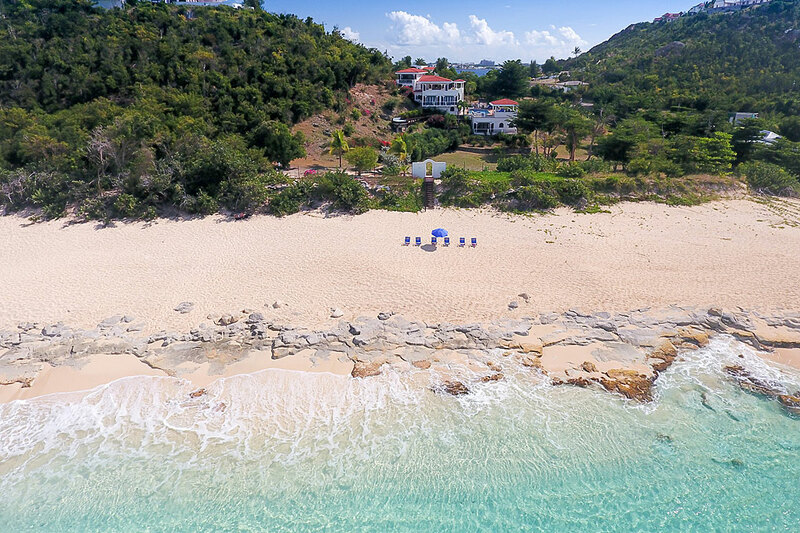 Valid low season, 2019!